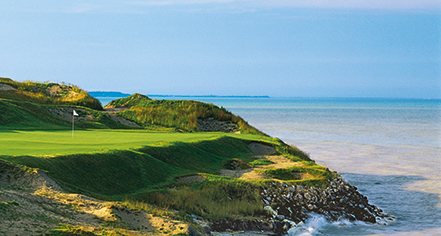 Four courses, two venues, one of America's Greatest Golf Courses for 2013-14 by Golf Digest. Created by legendary golf course designer, Pete Dye, these courses have hosted a myriad of championships including two PGA championships and two U.S. Women's Opens. In 2020, it will host the Ryder Cup Opens. 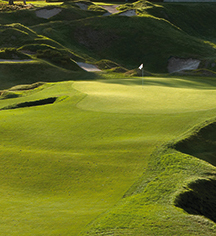 Guests of the American Club are allowed to book advance tee times at Blackwolf Run and Whistling Straits.